Double "B" Estate - Complete restoration of 19th Century Farmhouse w/today's amenities. 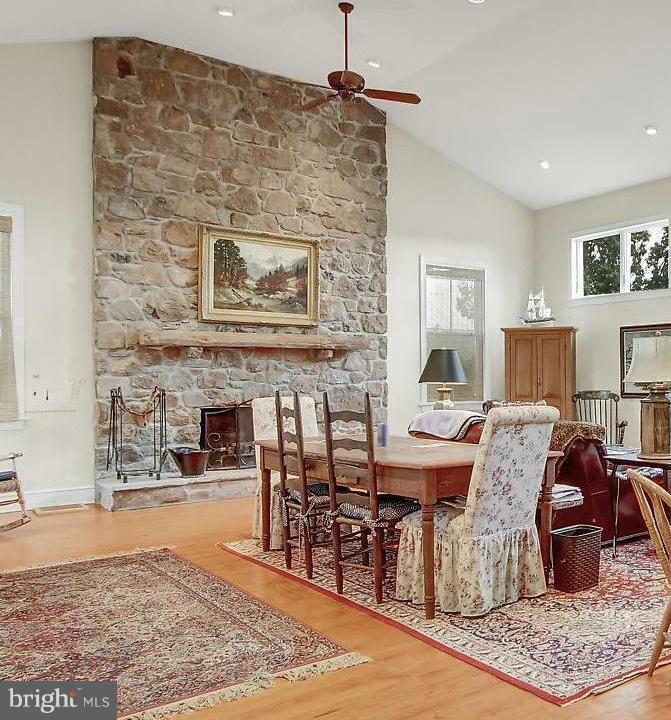 Main home w/(3) bedrooms - first floor master w/(2) full baths, expansive great room w/native stone fireplace, Country Eat-In Kitchen w/vaulted ceilings, center island, breakfast area, granite counter tops. Hardwood floors throughout, Plus guest residence - 1,152 sq. ft. w/2 bedrooms, currently rented month to month @ 1,100/mon. (2) storage buildings; (1) 42x90 & (1) 70x90, 42x90 unit leased @ 750/mon., leased month to month; main home with (3) HVAC Systems, enjoy the outside on 20 acres w/fishing pond & surrounded by country faming acreage.